Increase Knitting Stitches Knitwise and Purlwise. 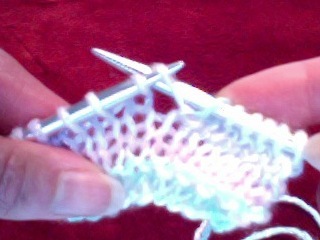 Increase Knitting is usually done on the knit side. 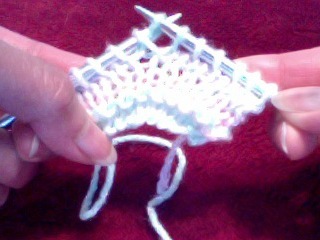 But occasionally, we'll see some pattern requires increase on the purl side. 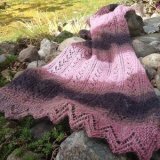 There are many ways to Increase Knitting stitches, but the most common ones are knit into front and back of the loop and pick up the horizontal strain between two stitches and knit to the back for it. 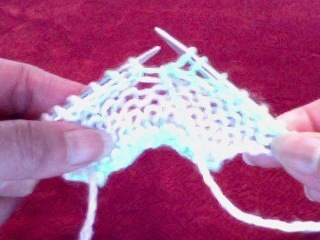 Other increase stitches are Yarn Over and Make 3 (knit into front, back and front of the same loop to gain 3 stitches). 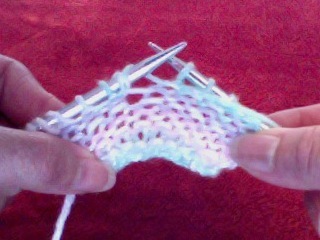 Method 1. knit into front of and back of the same stitch. This method of increasing knitting is not my favorite because it makes a little lump and shows a visible gap at the increasing site. 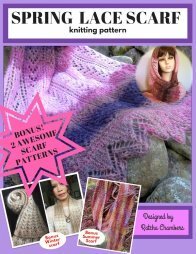 Here is how to increase a stitch in knitting for both KNIT and PURL. 1.1 Insert right-hand needle into the next stitch knitwise. 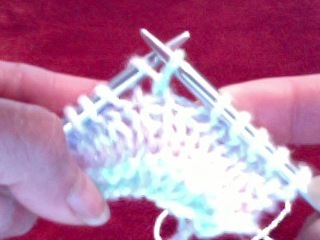 1.2 Wrap yarn around the right-hand needle. 1.3 Bring yarn through the loop with right needle. 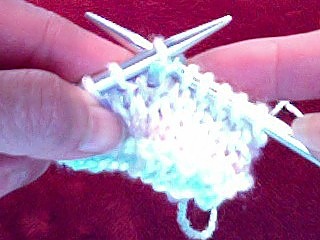 Do not pull the stitch off the left needle yet. 1.4 Insert the right needle into back of the same stitch knitwise. 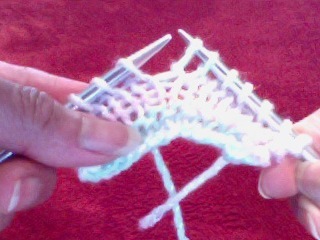 1.5 Wrap yarn around the right needle. 1.6 Bring wrap yarn through the loop. 1.7 Slip the working stitch off the left needle. And now you gain an extra stitch. 2.1 Using the left needle, pick up the horizontal strain of yarn between the end stitches on the left and the right needles from front to back. 2.2 Insert the right needle into back of the pick up yarn on the left needle. 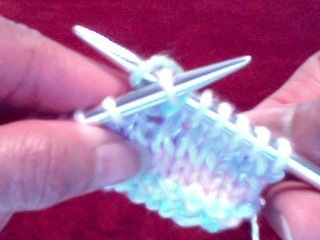 2.3 Wrap yarn around the right needle. 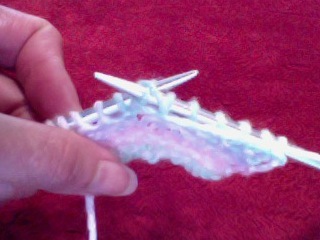 2.4 Bring wrap yarn through the loop with the right needle. 2.5 Slip the working stitch off the left needle. 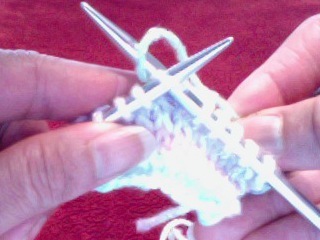 Pick up yarn between left and right needles with left needle from back to front. 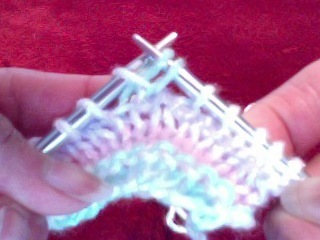 Then purl the front of stitch. 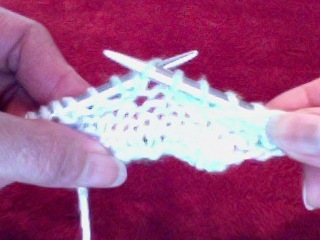 This creates a twist and prevent big gap under the increase stitch. 1. 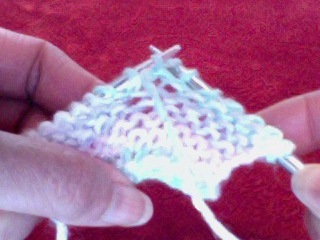 Pick up yarn between right and left needle from back to front. 2. 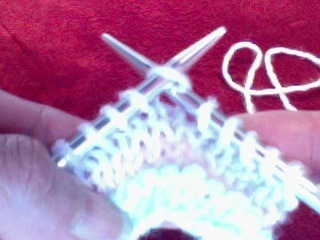 Insert the right needle through the front of the pick up yarn purlwise. 3. 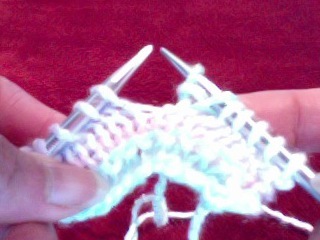 Wrap yarn around the right needle from right to left. 4. Pull wrap yarn trough loop with the right needle to back of work. 5. 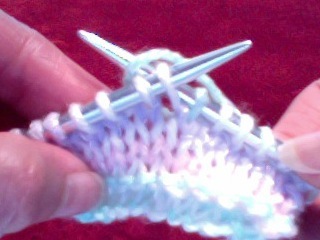 Slip working stitch off the left needle. 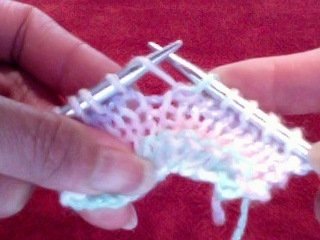 Now you've created a new stitch between the two purl stitches.